This has been a great summer thus far---and I'm in total denial that back to school season is upon us! EEEEks! But then I'm also excited to share and try out everything that I've learned this summer. It's such a bittersweet thing. I have pinterest boards of books and reading that I've been adding my faaaavorite books and reading tips too! 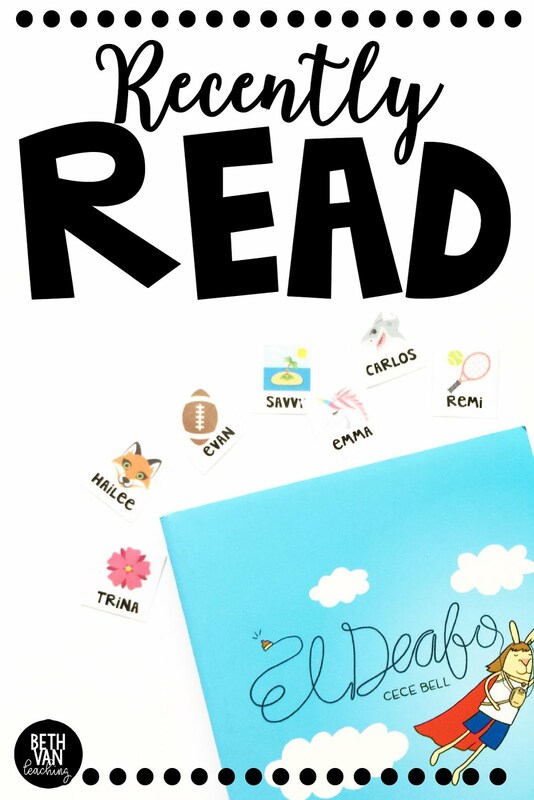 The last book that I finished was "El Deafo" by Cece Bell and I LOVED it. It was my first graphic novel that I read and totally loved it! It was funny and humorous and a quick and easy read. And now I am totally hooked and ready for more graphic novels. Totally perfect for your kids that might not be the biggest reading fans--it's quirky and right up their alley. AND I HAD TO SHARE. <<< the link provided is not an amazon affiliate link---I just love the book and caught it on sale for 6 bucks--so I hope you can too! If not, grab it from your local library. Anything that you've read recently and loved? I just started JACK by Liesel Shurtliff and I'm needing a for more books in my reading que. AND hit me with your favorites because I love good book recommendations! Ps the personalized emoji's can be found in my store here and read all about how I use them here! And speaking of spending money--go spend some on the TPT sale RIGHT NOW and don't forget (just reminding you because I totally forgot one time!) to type in the superawesome code BESTYEAR to get a few more percents off of your purchase! It all adds up---especially when you have to tell your husband how much you spent! Hahaha! Personally I am stocking up on some Blair Tuner goodness, Amy Groesbeck awesomeness, and some supa-fun posters from Teaching and So Fourth (her lyric posters have got me swoooooning!). This is my favorite kind of school shopping! Eeeeeks! Hope y'all are enjoying every last minute of summer!